Superdry men’s Daman straight jeans. A new take on the classic 50s style straight cut jeans, the Daman jeans feature zip fly fastening, a classic five pocket design and belt loops. 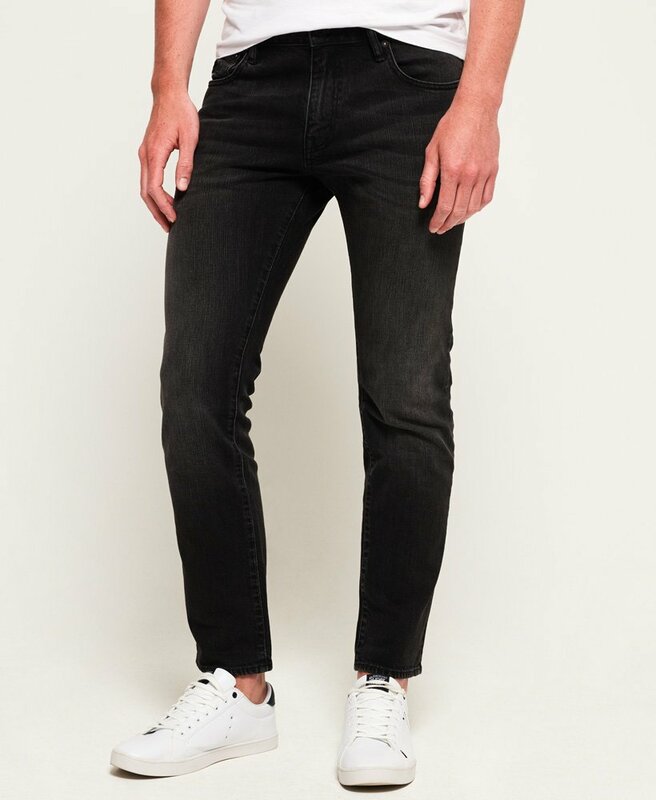 Made with comfort stretch fabric, these mid-rise jeans are great for the everyday and are finished with a leather logo patch on the rear of the waistband and an embroidered version of the iconic Superdry logo on the coin pocket. Wear with your favourite t-shirt and trainers for an effortlessly stylish look.